If you’re looking for quality carpeting options in Alliston, ON, make sure you come and visit our showroom. Carpeting is one of the most popular flooring materials out there, and for good reason. After all, carpeting comes in many different colours and styles. Additionally, it’s durable and extremely versatile. If you’re interested in adding new carpeting to your home in Alliston, Ontario, and you want to make sure you have plenty of options to pick from, come and see us at Giant Carpet Flooring Centre. We’ve been helping Canadians find the perfect carpeting for their home for the past three decades. Due to our experience in the flooring industry and our extensive selection of carpet, we’re confident that we can help you find the perfect new carpet for your home. If, at any point, you have questions as you’re browsing our showroom, our professional and attentive staff will be there to help you out. 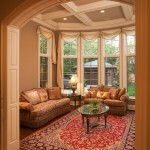 We pride ourselves on our commendable customer service, as well as our quality flooring products. Once you find the new carpeting you want to put in your home, our job is far from over. If you want, we can also install your new carpet. This means that we’ll take out the old carpeting in your home, lay down the new material, and leave you to enjoy your new carpet. At Giant Carpet Flooring Centre, we really are the only place you need to turn for all of your home’s flooring needs. Stop by our showroom today to check out our selection of carpeting, or give us a call to find out more about what we have to offer. At Giant Carpet Flooring Centre, we offer high-quality carpeting to residents of Alliston, Barrie, Angus, Newmarket, Cookstown, Innisfil, Bradford, Midland, Wasaga Beach, Collingwood, Muskoka, Gravenhurst, Bracebridge, Orillia, Thornton, Everett, and all of Simcoe County, Ontario.